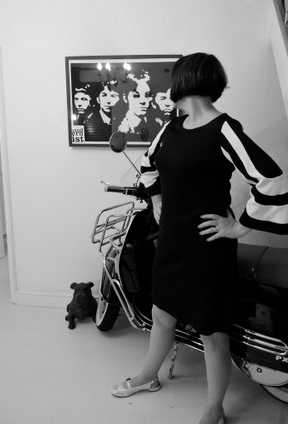 Claire is The Mod Closet’s featured ‘Icon & Influencer’ for October. 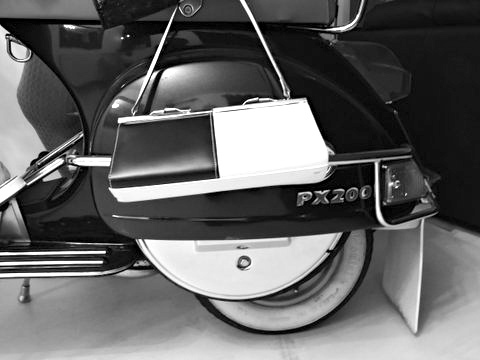 You can read all about this fabulous Mod icon here! Black plastic mac from Boden – This jacket goes with everything and I wish I had bought one in every colour. It has a fantastic polka dot purple lining. Shoes by Orla Kiely for Clarks – From the first range Orla Kiely did for Clarks. 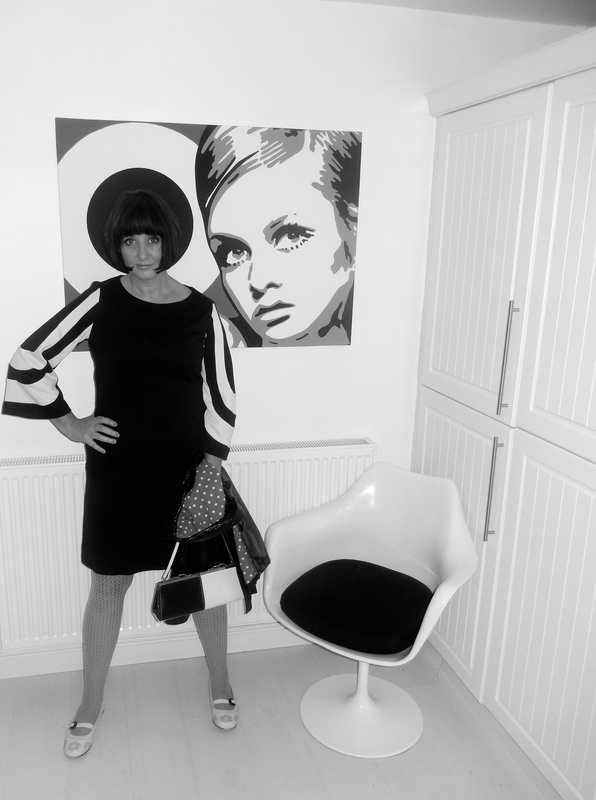 A great example of modern styling with a 60s twist and I love the flower motif. 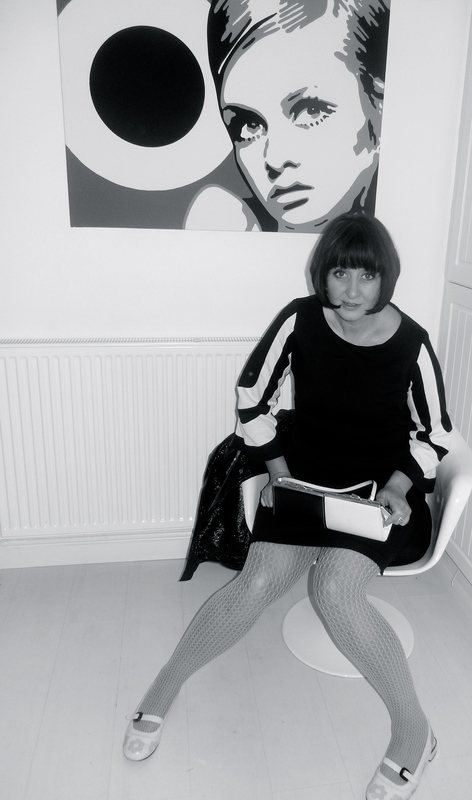 The Mod Closet blog is written by me: Beccy Lee Rodger, Mid Life Modernist! 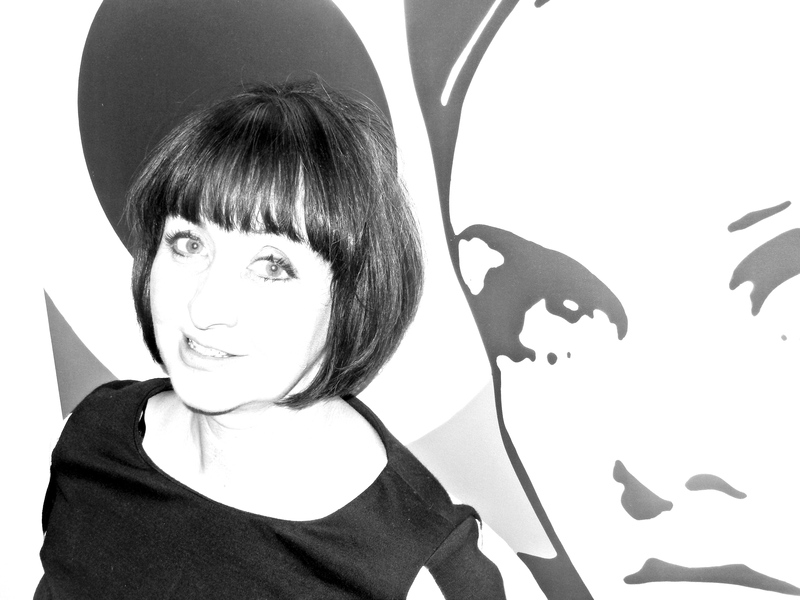 This blog is primarily about my adventures and musings as a Mid Life Modernist and female scooterist. But, please forgive me if I digress (as I am want to do in real life).